Always looking around as I travel, a river scene I’d spied caused me to whip the little Insight into a just-big-enough gravel spot alongside the road. As I was crossing a ford over the East Branch Rocky River, I’d spotted a lone Great Blue Heron standing in the dark, slow-moving waters. The bird was surrounded by dark green foliage lining the river banks and was lit by the morning sun. All I had with me was my trusty Canon PowerShot G11, but you use what you’ve got! 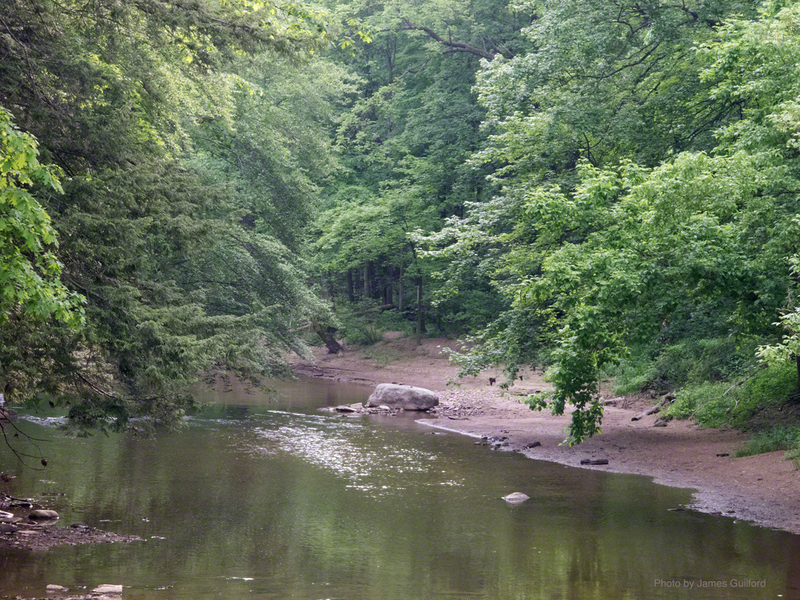 I hopped from the car and gingerly headed back to the ford. The heron was far enough away it did not regard me as a threat and went about the business of catching breakfast. 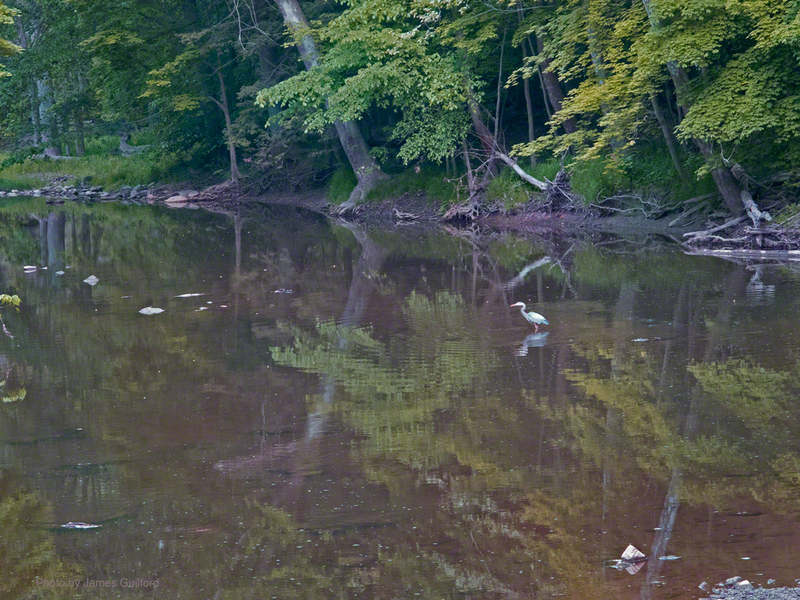 A few shots of the heron striding across the shallow river and I turned to take a few more images of the upstream view. A beautiful morning but, as usual, I had places to go and was already running late. Sigh. Good morning!